Flying to a major airport such as SLC or directly to Moab (CNY) and renting a car is highly recommended. 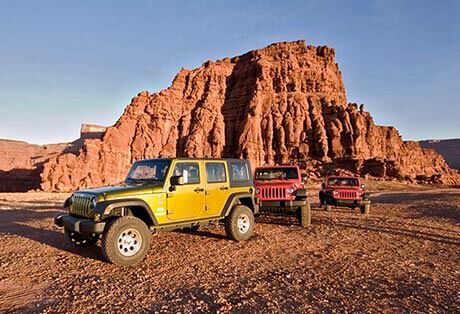 With so much to see and do in the Moab area, it is a good idea to have your own vehicle. Nearly every major vehicle rental company is available from the Salt Lake City, Utah or Denver, Colorado airports. If you choose to fly directly to Moab, vehicle rentals are available on site, or in town. 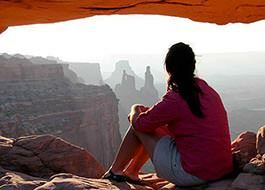 Note the special options for pickup/drop-off with Canyonlands Jeep and Car Rental. You may also choose to take a shuttle service to Moab. If you are planning a multi-day rafting trip in Moab, and flying directly to Moab, then Canyonlands Car & Jeep Rental is highly recommended. Pickup/Drop-off desks at two key locations: Airport and Moab Adventure Center. If your multi-day rafting trip is the next morning, you will simply drop-off the rental at Moab Adventure Center and board the bus in the same parking lot. 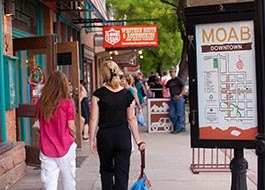 When you return from your trip by bus, you can pick up a new rental contract and explore the area during the remainder of your stay in Moab. When you drive to the airport, simply return your rental at the Airport rental desk. It's as slick as it gets! Visit www.canyonlandsjeep.com for more information. 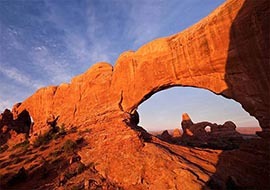 Drive to Mesa Arch or Dead Horse Point before sunrise, or linger until after sunset. A rental car gives you the freedom. Want to escape the heat into the forests of the LaSal mountains? 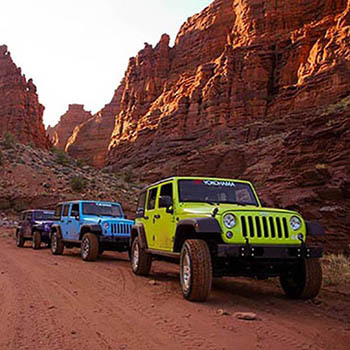 Learn more about Moab's Scenic Drives. Driving through Arches National Park on your own is great if you want to visit a particular spot at a specific time of day. For instance, if you want to hike to Delicate Arch and stay for sunset. Otherwise, be aware that a guided van tour is available. 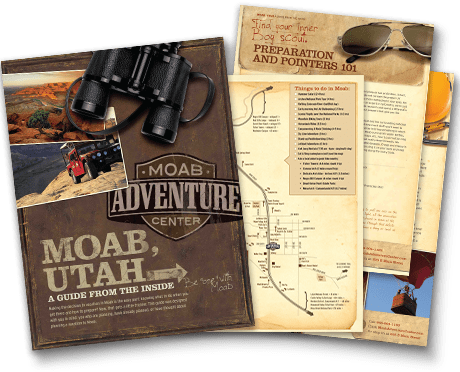 If you haven't seen it already, we've created a general page for Moab Travel Resources to make it easy to plan your trip to Moab.